Halloween is here again and it’s time to have some fun, my friends! 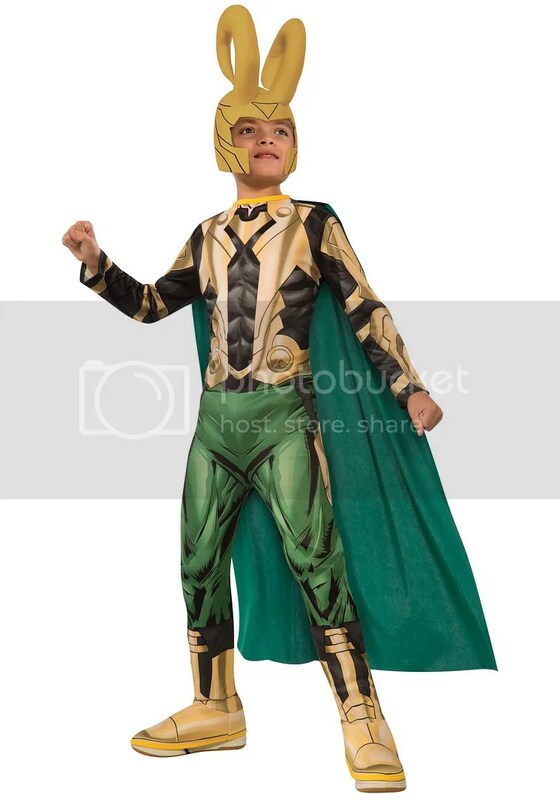 Every Halloween, I scour costume websites to find the best and worst superhero costumes available. In case you didn’t notice, superheroes are kind of a big deal these days, and they’re perfect for my favorite holiday! This year we’re tackling kids costumes, because Halloween is supposed to be about kids, right? To some extent? When I was a wee little lad, I would have loved to have superhero costumes as detailed and as awesome as those available today. Kids have it pretty great. And there have been plenty of movies and cartoons to make costumes from. 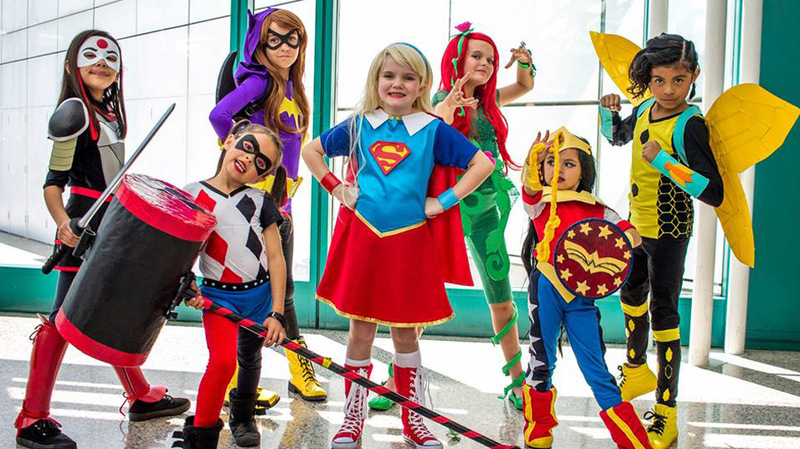 So join me after the jump to see the best and worst superhero costumes for boys and girls this year! You can also check out my previous list of kids costumes from a couple years ago. 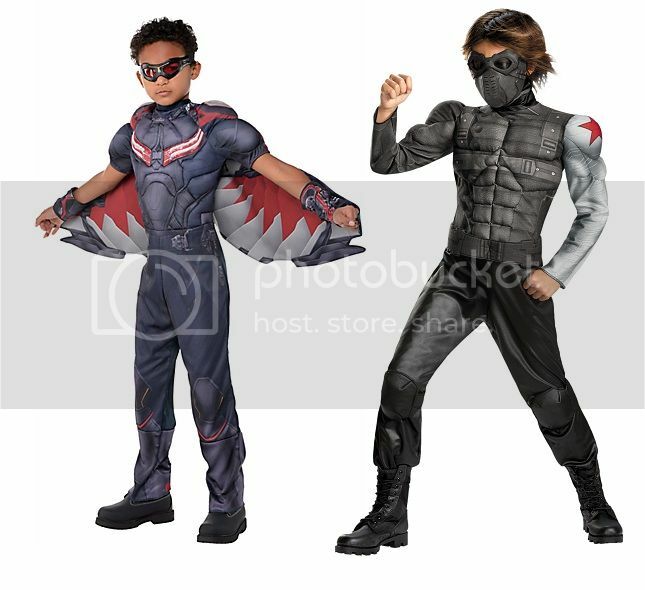 Don’t get me wrong, there are a ton of great Captain America costumes out there for kids. He’s one of the only Avengers to get a solid costume treatment. I probably should have even put Captain America on this list. But check out the options for Cap’s supporting characters! Fully-detailed, muscly and very character specific, kids have got great options if they really liked The Winter Soldier and Civil War movies. Falcon has a real wingspan that seems to attach to the arms, which is great, and both Falcon and Winter Soldier have some sweet masks. It’s good to see the supporting characters getting some love. This is a fascinatingly good costume! 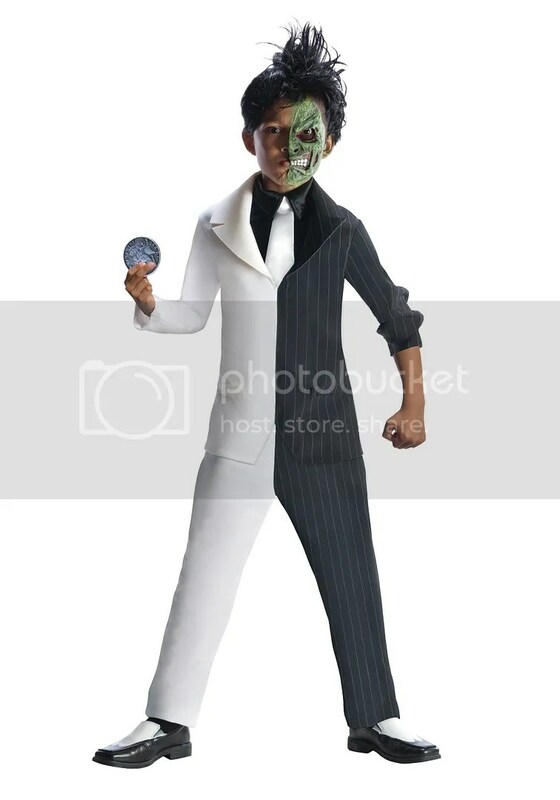 Two-Face hasn’t been in any movies or TV shows recently, so where does this costume come from? And why for kids? Who knows! But they’ve got a great half-face mask, and a wonderful two-toned suit — plus they threw in the coin! Some real effort was put into this comic book-based costume, and you just don’t usually see that sort of effort outside a movie tie-in costume. If there are kids out there who want to go as a Batman villain other than the Joker, they are in luck! In my last list of children’s costumes, I picked Spider-Man as the #1 best costume available. There were some really great Spidey costumes, with a lot of nice detail. Well three years later and I’m suddenly seeing a ton of alternate Spider-Man costumes! Where the heck did these come from? Iron Spider? Agent Venom? Miles Morales? Spider-Man 2099?! 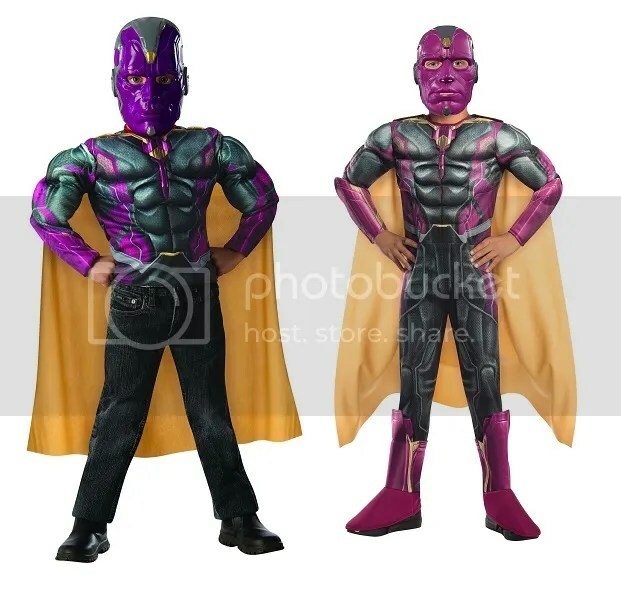 These are some very comics-specific costumes, and to see them available as full-sized Halloween costumes, complete with full-face masks and a ton of detail, warms my geeky heart. Maybe that Ultimate Spider-Man cartoon show was good for something after all. 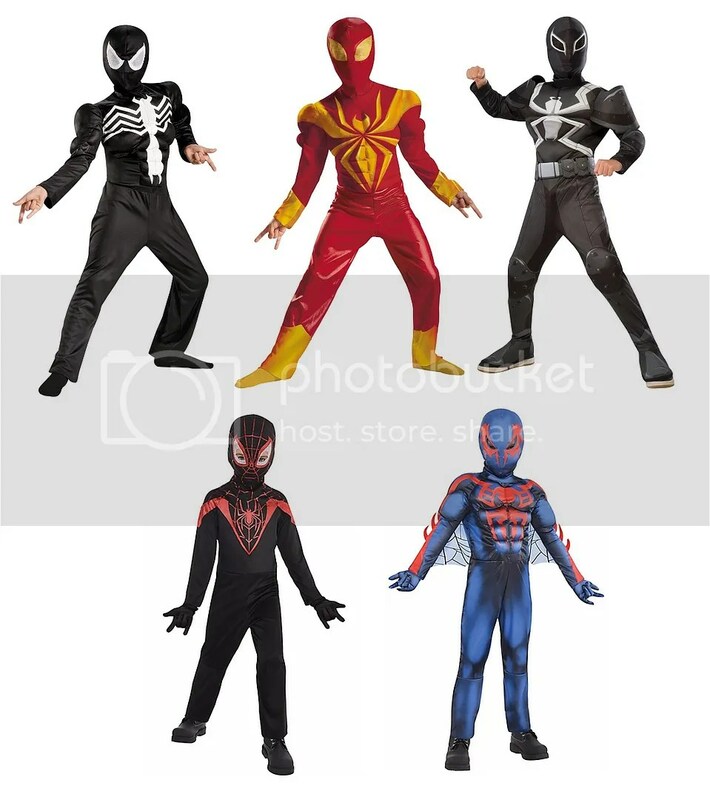 I would plotz if I had a kid show up to my house dressed as Spider-Man 2099. That’s insane just thinking about. These costumes are gorgeous! So colorful, so accurate, so full of personality. Plus, there are costumes for both boys and girls! Just look at the detail on that Honey Lemon suit. And the Baymax costume inflates! How cool is that? These would be great costumes for a mixed group of boys and girls. The cartoon isn’t too old at this point. Though I didn’t see any GoGo or Wasabi costumes, let alone Fred, so I guess those kids have to miss out. As we’ll see further down this list, of the two big Marvel vs. DC superhero movies this past Spring, one of them has come away the clear winner in the Halloween costume department. There already are all manner of Batman and Superman costumes available, but these movie-specific costumes are really special. The level of detail put into the suits, along with just the general build of the bodysuits and capes, makes for some really great costumes. 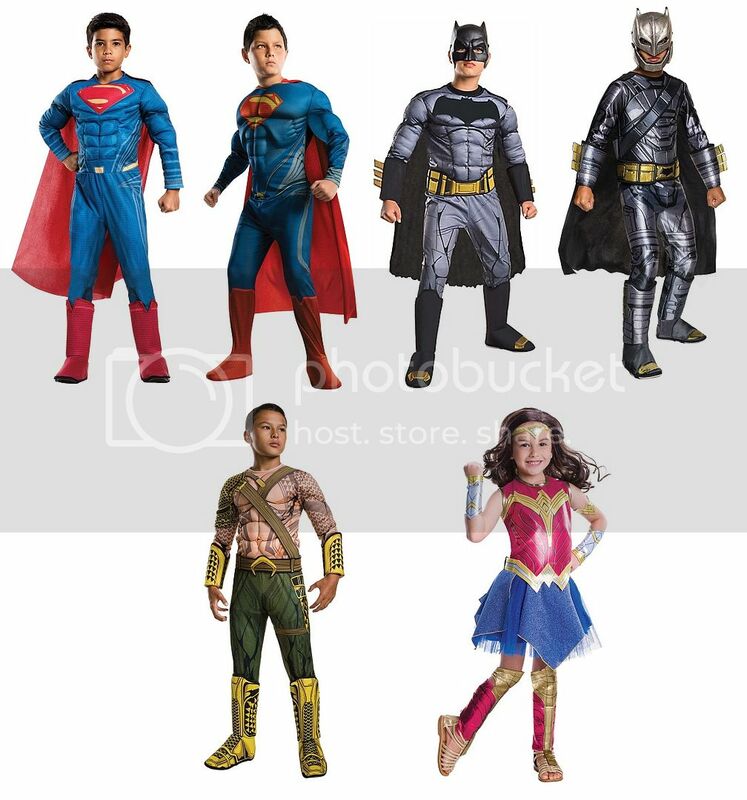 These characters just look damn cool — though I think that Aquaman kid might have to explain his costume to a few different people. It’s not immediately recognizable. I’m also kind of grateful that they didn’t include a crappy Jason Momoa wig. The last time I wrote a list of children’s costumes, all girl’s costumes were grouped together as the No. 1 worst choice. They were just terrible! Pretty much every costume for girls was of a male superhero wearing a skirt. Batman with a skirt. Spider-Man with a skirt. Superman with a skirt. And if that wasn’t enough, you could also get each costume colored entirely pink from head to toe. That was the entire extent of superhero costumes for girls: pink, skirts and pink skirts. But look how far we’ve come! 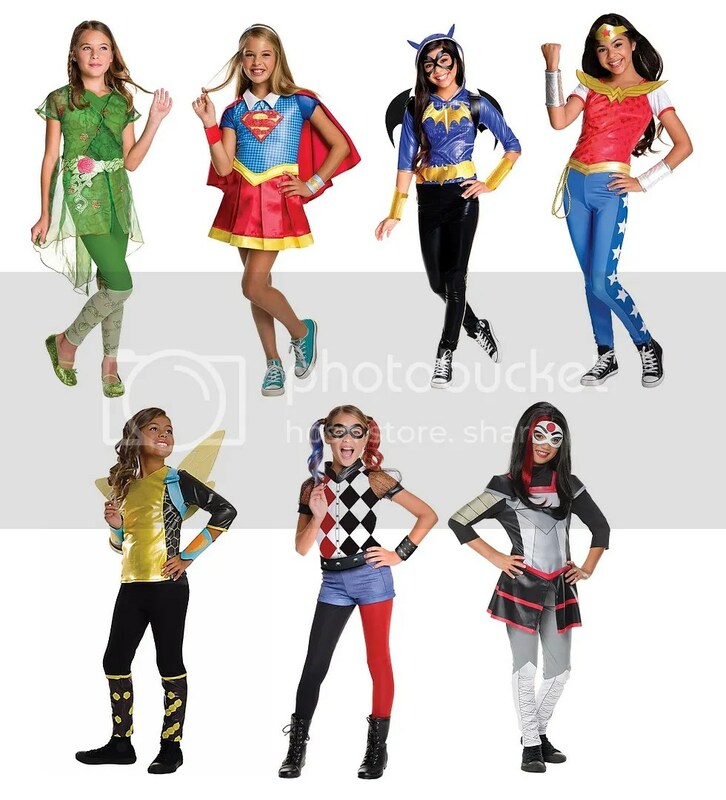 The DC Super Hero Girls line is a revelation in terms of costumes. Look at how colorful these costumes are, how full of personality! 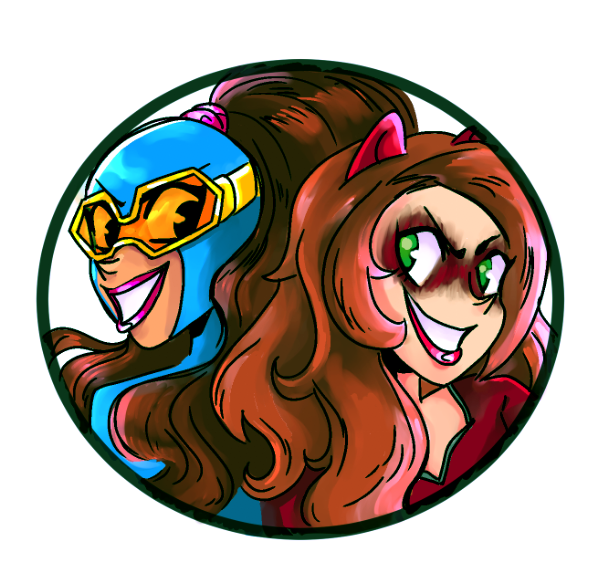 And not only are they instantly recognizable, but they’ve even got costumes for some of the more obscure characters, like Katana and Bumblebee. And look at that Harley Quinn costume! If you don’t want your little girl dressing up like the Suicide Squad version of Harley, look at this wonderful, very colorful alternative! I haven’t personally seen any of the DC Super Hero Girls episodes, but if they can produce costumes as good as these for a normally desperate market, then I say DC is doing something great. Just like the adult Vision costumes, there’s just something about that cinematic android that nobody can get right. From a just plain hideous color scheme to horrifyingly ugly masks, the Vision just doesn’t translate well to costume form. Just look at those face masks! I realize that the Vision is a pretty impassive fellow, but do you need to etch that grimace onto the face of your children? Woe be to any kid who randomly decides that the Vision is their favorite Avenger. These…these are not good. Based on the live action Ninja Turtles movies, these costumes are a clear example of when too much detail can derail a costume. Just look at these monstrosities. On top, you’ve got some overly complicated Turtle bodies paired with dull, lifeless masks. Where’s the personality? Where’s the awesome? Those masks look bored. Down below you’ve got some more premium costumes, but those are just plain hideous. Major props for the accurate Bebop and Rocksteady costumes, but those things look like they’ll give you a disease just from touching them. 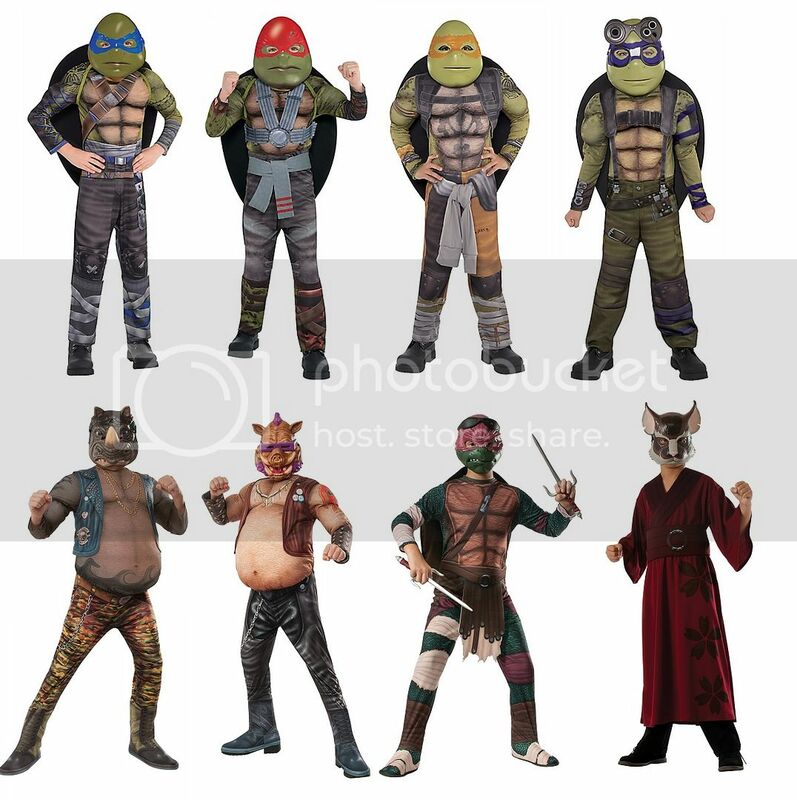 The more detailed Ninja Turtle outfit is almost as bad as the cheaper options on top. I suppose it could count as a Ninja Turtle costume, but nothing about that mess says ‘turtle’ to me, with an even uglier mask. And the Splinter costume is basically just a Hugh Hefner robe. Fortunately, these aren’t the only Ninja Turtles out there. 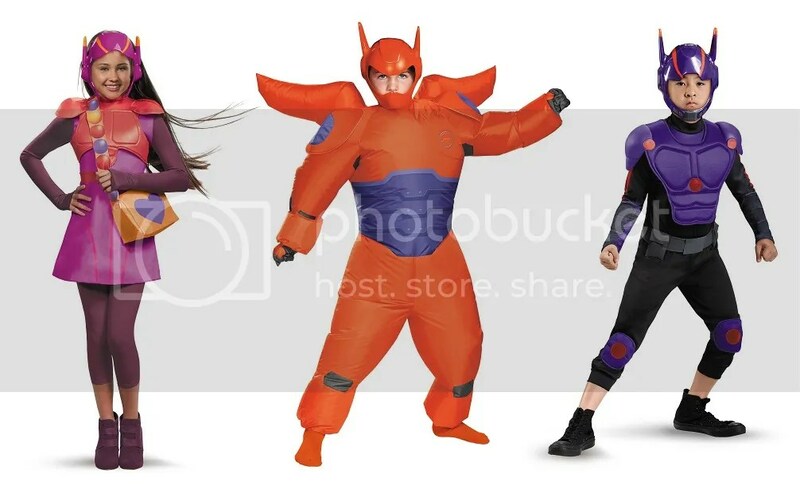 Buy the costumes based on the Nickelodeon cartoon and you’ll be fine. Don’t encourage anyone to keep making these live action movies. I suppose we should give Marvel credit for trying, maybe? 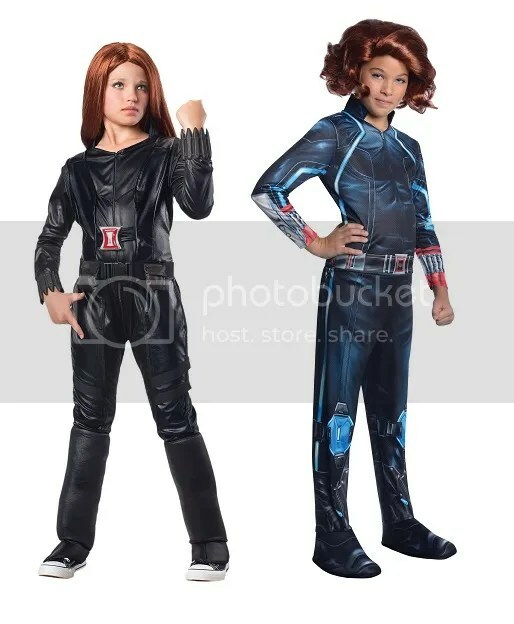 They’ve endured a lot of well-deserved flack for failing to make enough awesome Black Widow merchandise. But at least they’re offering a couple of different Halloween costumes…all of which look pretty terrible! The black one looks passable, perhaps, but it’s not very iconic or interesting to look at. The blue smock on the right reeks of the same attempt to get overly detailed that it loses the forest for the trees. Would anyone looking at that thing instantly tell the girl was Black Widow? And those wigs are deplorably bad. Speaking of deplorably bad: here’s Yellowjacket! Remember him? He was the villain in the Ant-Man movie. 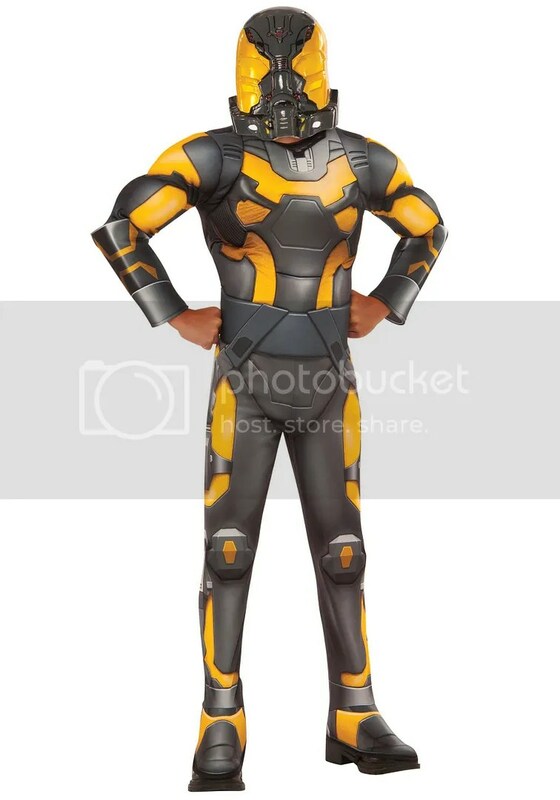 Surely there are some kids out there who loved Yellowjacket, right? And they can dress up in this lumpy mess, with the ill-fitting helmet and the all-around utilitarian body suit. Everything in this picture just looks awkward. He doesn’t even have those cool robo-arms that actually made Yellowjacket unique. Just…just look at that helmet. Jeez louise. What is even the god damned point of this costume? Honestly? 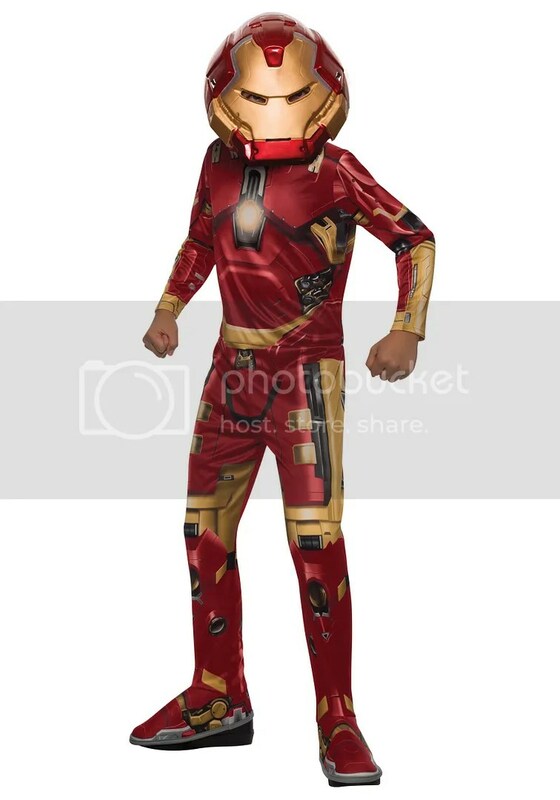 There are tons of other Iron Man costumes available for your kids. He’s a popular character, he’s got some costumes. But why turn Hulkbuster into an option? The costume in no way tries to mimic the hugeness of Hulkbuster Iron Man. They don’t even go the inflatable route, like with Baymax. And that helmet. Jeez. That just kills me. How freakin’ ridiculous. This might as well be Fat Head Iron Man. Everybody point and laugh at his big, fat, flat head. You can also check out my previous articles on Kids Costumes, Male Costumes, Female Costumes, More Male Costumes, and More Female Costumes. Posted on October 26, 2016, in Lists of Six! and tagged Halloween, Halloween costumes. Bookmark the permalink. Leave a comment.